JH: Please help me welcome another new member of the 2018 faculty, Jan Lewis. Jan comes at indie publishing from a slightly different perspective--she's an author's assistant--and will be sharing thoughts from her knowledge and experience with multiple indie authors at every stage of their careers. She'll be here the first Thursday of every month. Jan Lewis is the founder of Author Sidekick, a boutique digital agency offering virtual assistance to authors since 2013. She has 20 years of administrative experience and offers clients her expertise in Operations Management, Office Administration and Project Management. 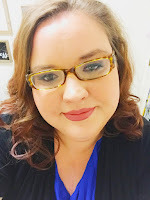 She has worked with multiple New York Times and USA Today bestselling authors, including JoAnn Ross, Jennifer Armentrout, Anna Banks, Claudia Gray, and Dr. Kelly Turner. Jan’s unique hands-on approach offers her clients the highest level of service tailored to their individual needs. To maintain this level of elite service, she manages a small client list and takes on new authors on a very limited basis. I am so happy to be here! I’ve been an author’s assistant since 2013, and I hope that you are able to learn from my experience. If there is a topic you would like me to cover in a future post, please leave a comment to let me know. For my first post, I wanted to start with a broad topic, so I decided to start with the roadmap that I use with each of my authors’ books. Of course, I tweaked it a little bit since you have to worry about the actual writing of the book as well. Obviously, you want to write a book your ideal reader will actually want to read. Here are some tips to help you accomplish that. Determine your goals: Write down your goals for writing and publishing your book. Highlight your primary goal. Clarify exactly what you want the book to do for you. Don’t just aim for bestseller status. Will this book introduce readers to a new series? Is its purpose to keep your loyal readers happy by giving them the book they are expecting? Determine your ideal reader: Create an avatar of your ideal reader. What age group is your target market? Is your book written with a male or female reader in mind or both? Do you want to appeal to readers of more than one genre or are you firmly entrenched in one specific genre? Research your competition: Look at the bestseller lists on Amazon for your genre(s). Identify what is selling the most prolifically. Read the reviews. Determine from negative reviews what your ideal reader is complaining about and wishing for. Determine from positive reviews what your ideal reader likes. Create your outline: Perform any research you need to do for each chapter, keeping notes and documenting sources for future reference or citation. Write your chapters: Setting a goal of X number of words per day is the best way to make sure you finish your book in a timely manner. Choose a word count that feels comfortable. Pick a time of day where you are less likely to be interrupted. Start writing. Resist the urge to edit as you go. Finish your first draft. Revise and proof your book: Run your book through a spell checker. Leave it alone for anywhere from a couple of days to a few weeks--long enough for you to “forget” it. Read through and fix any obvious grammar or syntax errors. Get feedback: Send your book out to your beta readers. When you receive their feedback, group it together and look at it objectively. Have several of them commented on the same thing? If so, take another look at it. Decide on your publishing platform: Who you choose as a publishing platform should be informed by how you plan to produce the book. Decide whether or not you want to self-publish; and if so, whether or not you want it to be a digital offering, digital plus hard cover or hard cover only. If you wish to go the traditional publishing route, start lining up publishers and literary agents to query. Decide what to outsource: Set a budget for outsourcing. Determine whether or not you will outsource cover design, formatting, editing and proofing. Create a timeline. Decide on your promotion strategy: Set your advertising budget. Decide if you will outsource your promotion to an assistant or PR firm. Add your promotion and advertising plans to your timeline. Edit your book: Send your book to the editor you’ve chosen. Follow up with copyediting and a final pass with a proofreader, if you like. Prepare your graphics: Check that finished graphics are the correct size for your publishing platform. Place in folder to have ready for upload (as specified, if there are special instructions from your publishing platform). Upload with text or afterwards, as specified. Format your book: Either send it out for formatting or familiarize yourself with your publishing platform specifications and instructions. Format your text. Create a table of contents and other necessary pages - disclaimer page, preface, dedication, and copyright notice. Assemble pages and upload your formatted text to your publisher account. Create a marketing plan: This can be as simple as deciding what day you will release the book and putting together a list of promotions you will purchase. If you want to go into more detail, create a marketing calendar and include things like sending review copies to your ARC team, blog posts and interviews, social media posts, promotional graphics, releasing snippets of the book, sending review copies to bloggers and book reviewers, etc. Schedule your promotion: Once you have set a publish date, schedule your paid and free promotion. Some require up to a month of advance notice. Schedule your promotions just before the weekend for maximum success. Choose your free promotion days: If your publishing method and platform is Amazon KDP Select, schedule your first 2-day free promotion once your book is uploaded and published. Plan when you are going to use the remainder of your 5 free promotion days during your 90-day KDP exclusive period. Identify the exact dates and include your book title and URL. Solicit reviews: Ask your beta readers to post reviews. If you have an ARC team, send them a reminder to post their reviews. When you email your subscribers, make a note that reviews are always appreciated. Take a deep breath. Your book is out in the world now. Treat yourself to a mini vacation, a spa day, or just dinner at your favorite restaurant. Be sure to take time for self-care before it’s time to start all over with the next book! I'm usually collecting my graphics before I open a blank file. I use my draft cover to help me visualize my character and the tone of my upcoming story. Yes. Graphics are a great source of inspiration! I've had several authors who had an inspiration board on Pinterest for each novel.